The name Namib means ‘place of no people’, a term that is indicative of the harsh and barren conditions that the desert presents. It has mountains, gravel plains and massive sand dunes and it is one of the oldest and largest deserts on earth. Rainfall in the Namib is highly unpredictable and infrequent. Because water is essential for life for any living creature to thrive, the conditions in the Namib would lead one to conclude that no life can be sustained there. However, there is a large variety of animal and plant species that make their home here because they have adapted to the conditions at hand. The Welwitschia mirabilis is a plant endemic to the Namib Desert and there are also elephants and lions that have adapted to living there. 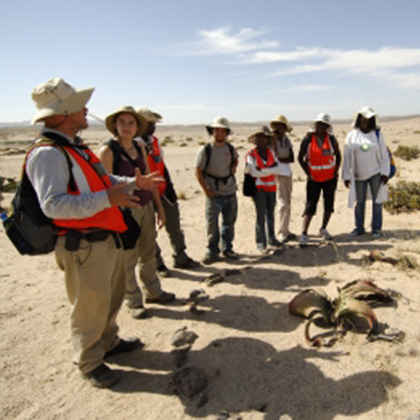 This module gives students the opportunity to discover and study a selection of flora and fauna that live and thrive in the desert conditions because they are adapted to it in at least one major way. A lot of time will be spent in the field in order to help the students’ minds marry what they are taught in lectures with life as it unfolds in the desert on a daily basis. Starting off in Windhoek, students will travel through to Spitzkoppe, Etosha, Skeleton Coast and Swakopmund as they engage in field work, lectures and discussion sessions. Accommodation will be in places that are conducive to the exploration of the variety of species to be studied. Each location has been selected for its unique features that make it a practical site for the portion of the program that it is designed for. Where possible, the animal or plant in question will be observed in its territory to get a clear perspective of its adaptation qualities. Barry graduated with a Bachelor of Social Science Degree from the University of Cape Town. 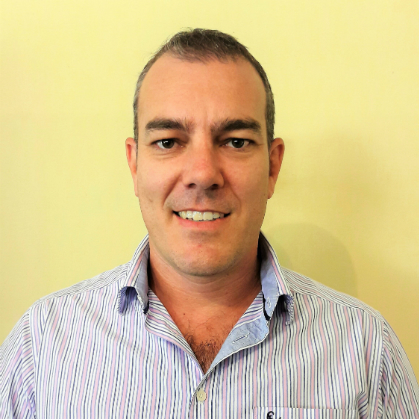 With his tertiary education background in sociology, economics and law, plus experience in the financial services sector, Barry moved from Cape Town to Harare about ten years ago before taking on a role as the General Manager for EDU Africa.